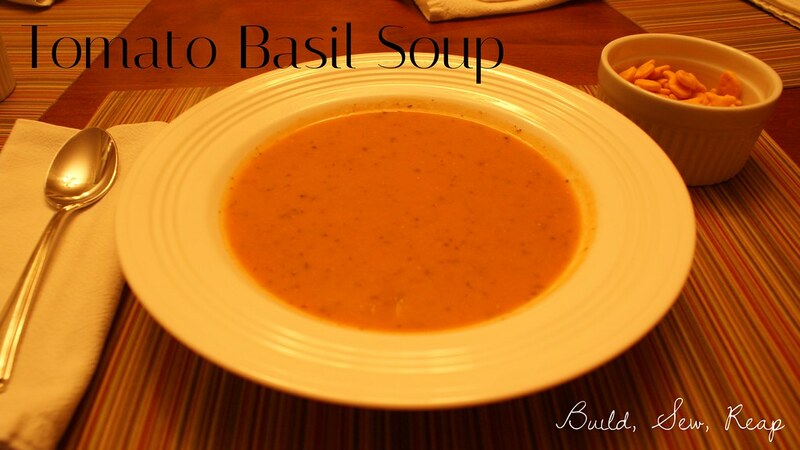 Snickerdoodle and I love tomato basil soup so awhile back I set out to create my own recipe using ingredients we always have on hand. I love this simple recipe because although it can be ready really quickly, it also gets better as it sits so it saves well for a few days. 2 Tbsp vegan worchestershire sauce - I like what this adds to it but then we ran out and I realized the soup is still pretty good without it so I'm putting it down as optional. Warm the broth on medium high in a medium sized pot or small stock pot. While that is warming, drain the tomatoes and purree them to your desired consistency. We like them to be total mush, no lumps. Add the tomatoes and the remaining ingredients to the broth. If you're using cream cheese, cut it into small chunks so it'll melt. Bring the soup to a boil, reduce heat to low and simmer until you're ready to eat. The soup will be good right away (once the cheese melts if you're using it) but even better if you can let the flavors simmer together for 30 minutes or more. Stir before serving.